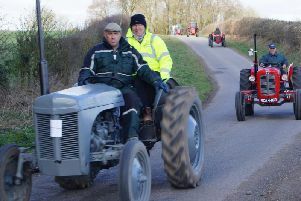 A full weekend of celebrations marked Lincolnshire Day in Caistor . Events at Caistor Arts and Heritage Centre began with a music and supper evening on Friday, featuring folk guitarist John Conolly, who kept everyone entertained with songs and poems. Music continued on Saturday with a host of buskers showcasing local talent. There was also lots of activities for children to enjoy. Our photographer caught up with events on Sunday, when dogs were the stars. With the road closed off, residents and their four-legged friends had plenty of space to show off their best tricks, waggiest tails and just how cute they really were. There was al fresco dining and stalls to browse - and, of course, more live music. Centre manager Stephanie Dale was delighted with how the events went. She said: “We are really pleased with how many people have turned out for the event - for a first event it has been brilliant.